The ChessboardViewModel defines a event handler by exposing a PieceSelectedHandler property. This property returns an object implementing the ICommand interface. 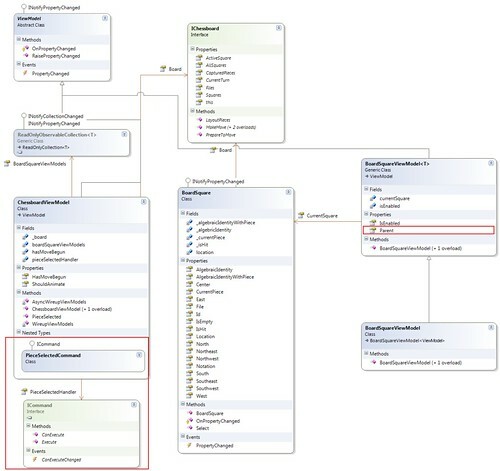 The Style trigger on the BoardSquareView binds to this property by accessing the Parent property of the BoardSquareViewModel. The Parent property on the current ViewModel allows accessing the ViewModel's enclosing ViewModel, which in this case is the ChessboardViewModel.